It was a long, cold winter, so it feels so satisfying to be able to take your workout from indoors to the great outdoors. 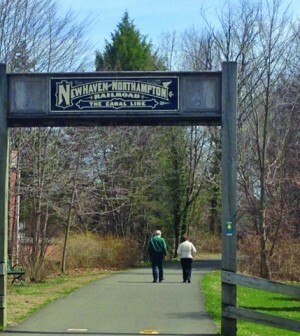 There is no better way to spend a nice spring day than outside on the Farmington Canal Heritage Trail. It is more than 80 miles long and runs alongside the Farmington Canal from New Haven to Northampton, Massachusetts. One of the entrances to the trail is right across from the York Hill campus. The trail is nestled deep between the budding spring trees. You will be completely surrounded by greenery no matter where you go. On a nice spring day, you can count on seeing other students enjoying the weather. If you go north, toward Cheshire, the trail runs behind a lot of eateries. 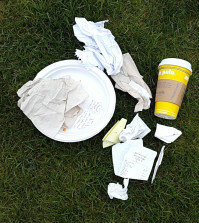 If you go south, toward New Haven, the smell of fresh bagels at Bruegger’s Bagels will tickle your nostrils. You do not have to worry about getting lost because you can still see the street, and there are signs when you enter a new area. The path is smoothly paved so you will not injure yourself, and it is always clean. Lately, the trail has been bustling with bikers, runners and walkers. If you are training for a race, such as a triathlon or marathon, there are markers to make it easy to track your progress. Luckily, the trail is wide enough to accommodate everyone. However, if you are looking for some peace and quiet on the trail, try taking a sunrise run. In the Cheshire direction, the trail opens and overlooks the little tree farms, hills and valleys. You can sit on a rock and appreciate all the beauty that nature has to offer.